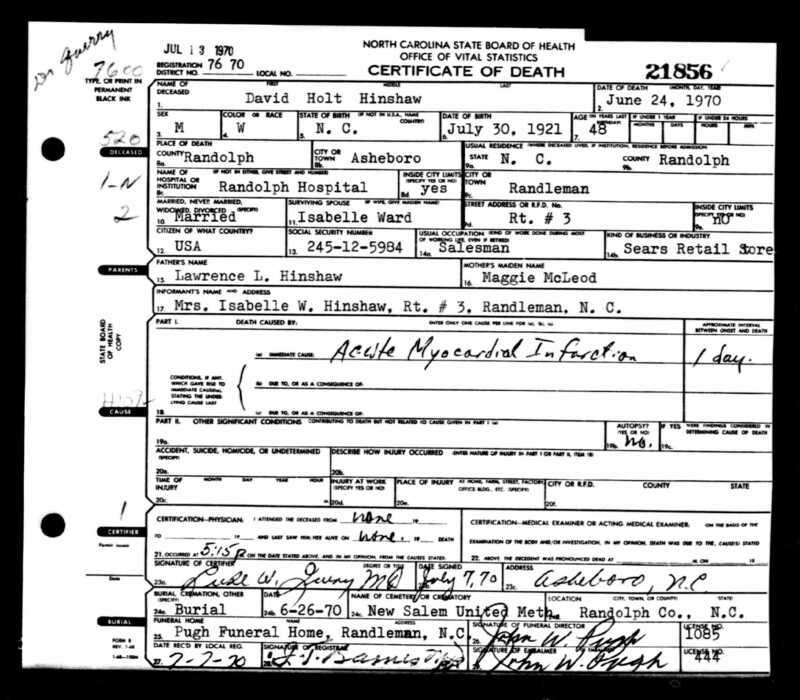 David Holt Hinshaw3,4 [Holt David Hinshaw1,5,6]. North Randolph [County, North Carolina] Historical Society. 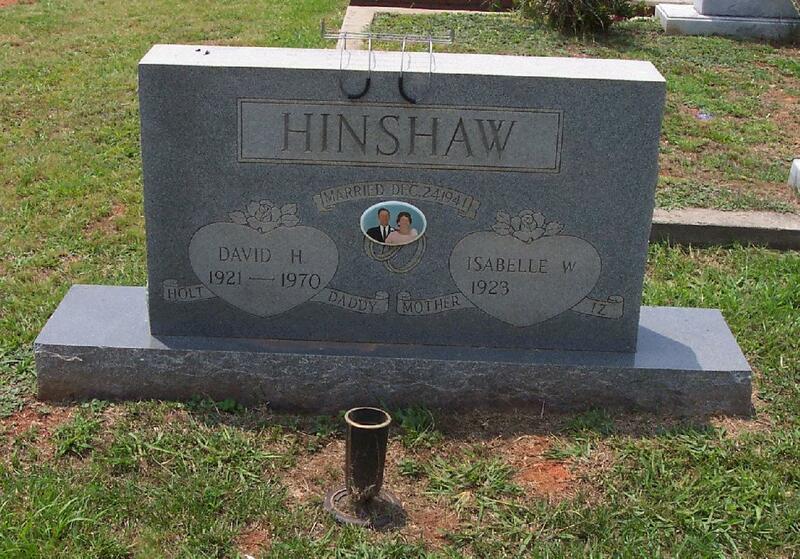 Obituary of Holt David Hinshaw, Jr..
Gravestone photo courtesy of Richard Alan Wood.